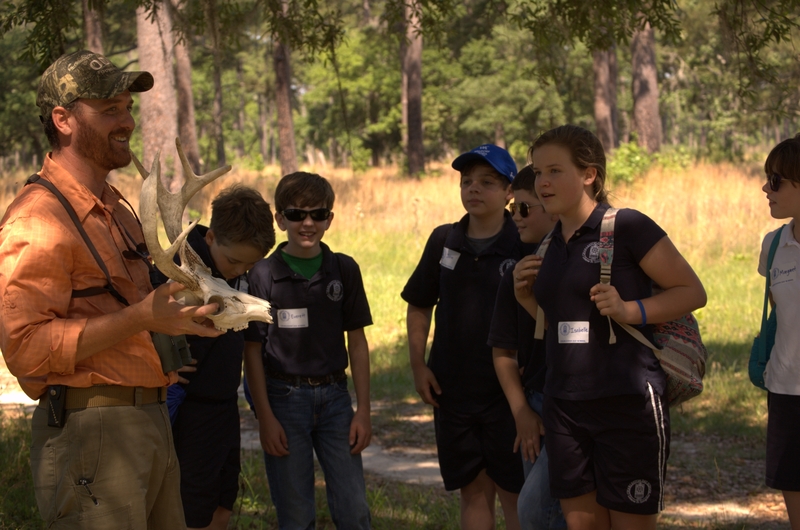 Staff Biologist Beau Bauer conducts an educational program for area students. The Foundation partners with other groups to inform landowners, land managers and the public about the value of our natural resources and promote best management practices. This is accomplished through workshops and special events which bring the public together with recognized experts. One of our most rewarding activities is teaching children about the wildlife and natural resources just outside their back door. We host students from local K-12 schools and teach them about the ACE Basin, its wildlife and other natural resources through walks in the forest, exploring our waterways by boat, and classroom presentations. - Workshops on natural resources conservation. 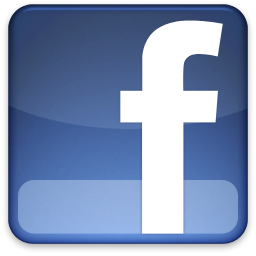 - Teacher workshops and continuing education courses on wildlife conservation. - Field trips with Master Naturalist and Osher Lifelong Learning classes as well as other conservation-related community groups. The Foundation is a founding member of the South Carolina Prescribed Fire Council (SCPFC). Nemours CEO Dr. Wiggers has served as chairman for this group. The mission of the SCPFC is to foster cooperation among all parties in South Carolina with an interest or stake in prescribed fire and inform the public about the importance of prescribed fire as a natural resource management tool. 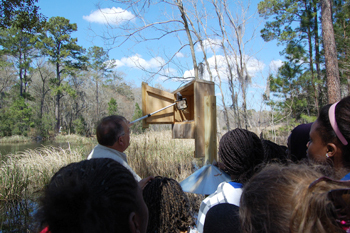 Dr. Wiggers shows Whale Branch Middle School students the inside of a wood duck nesting box. 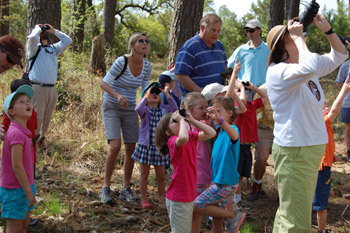 Children, teacher and parents from First Scots Presbyterian Kindergarten in Charleston enjoy birdwatching with Dr. Wiggers.